The swine flu may be keeping folks from crossing over borders, but there's no reason you can't still enjoy a taste of foreign cultures. After you get your shots and stock up on hand sanitizer, sit down with these foreign language favorites to ease your influenza worries. 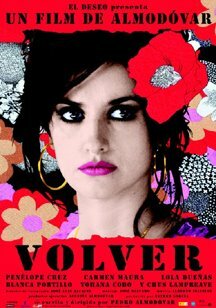 Penelope Cruz received her first Oscar nomination for her sultry leading role in this sumptuous drama from renowned Spanish dream maker Pedro Almodovar. The 2004 film marked the third collaboration between the director and his slinky muse, and it's a great way to prepare for their fourth, "Broken Embraces," coming soon to theaters. 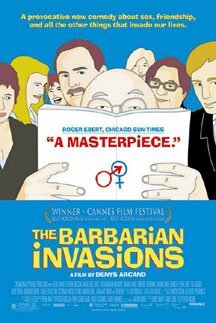 A 2003 Oscar winner for Best Foreign Language Film, this profoundly bittersweet ensemble piece from French director Denys Arcand is a veritable feast for drama lovers. As a dying man surrounded by his quirky friends and family members, Remy Girard is charming and heartbreaking, as are all of the supporting cast members. Before there was "Slumdog Millionaire," there was this 2003 stunner that put maverick director Fernando Meirelles ("The Constant Gardener") on the map. 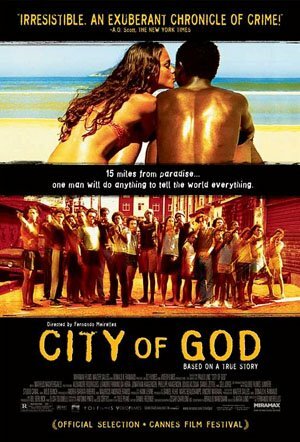 Following a young Brazilian photographer who uses art to get out of the violent ghetto, and following bullets as they whiz through the streets of the slums, this gritty masterpiece lingers in the memory. When it comes to actors playing real-life entertainers, it's rare we see a performance so accurate and immersive, the line between subject and star is virtually nonexistant. Such spot-on portrayals usually lead to Oscar riches, i.e. 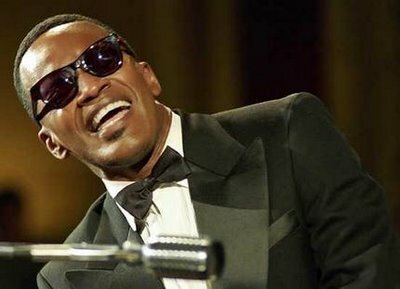 Cate Blanchett as Katherine Hepburn in "The Aviator," Marion Cotillard as Edith Piaf in "La Vie En Rose" and, of course, Jamie Foxx as Ray Charles in "Ray." Since his 2004 Best Actor win, Foxx has become a bona-fide megastar, tackling not only the film industry but the music biz as well. Also Oscar-nominated in 2004 for his work in Michael Mann's "Collateral" opposite Tom Cruise, Foxx has been delivering a steady stream of strong performances throughout the rest of this decade in films like "Jarhead," "Miami Vice" (also directed by Mann), and "Dreamgirls." He's paired that with a lucrative music career, dropping one album, "Unpredictable," shortly after his Academy Award victory and another, "Intuition," this year. He currently has two songs tearing up the radio -- the R&B hit "Just Like Me" and the club anthem "Blame It" -- and he's just getting warmed up. 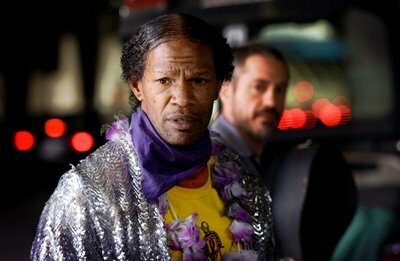 This month, Foxx stars in perhaps his baitiest role since "Ray" as schizophrenic musical genius Nathaniel Ayers in "The Soloist," director Joe Wright's ("Atonement") screen version of L.A. Times journalist Steve Lopez's popular bestseller. Incorporating mental illness, wild eccentricity, instrument playing and particularly odd hair, makeup, and costumes, Nathaniel sounds like an Academy-friendly character to me. And though April (the film opens Friday) isn't exactly known for releasing year-end contenders, Foxx's role in "The Soloist" might just have him knocking on Oscar's door once again. From director Michael Mann ("Heat," "Collateral," "The Insider") comes this epic account of infamous American bank robber John Dillinger, portrayed by superstar Johnny Depp. Set in 1933 during the country's "golden age of crime," the film co-stars Christian Bale, Stephen Dorff, Billy Crudup, Channing Tatum and Academy Award-winner Marion Cotillard ("La Vie en Rose"). It opens everywhere July 1. Taking its cue from sci-fi classics like "2001: A Space Odyssey," this focused thriller from director Duncan Jones (David Bowie's son) stars Sam Rockwell in a reportedly harrowing performance as a lone astronaut stationed on the moon who comes into creepy and potentially devastating circumstances. Kevin Spacey co-stars as the voice of a HAL-9000-type computer. A festival favorite, the movie opens June 12 in limited release. Visionary auteur Lars Von Trier ("Breaking the Waves," "Dogville") directs international star Charlotte Gainsbourgh and character actor Willem Dafoe in what appears to be one of the scarier offerings in recent years. Gainsbourgh plays a woman plagued by demonic visions who ventures out to the woods of her nightmares to face her fears. Viewers beware: this preview is a little explicit. Looking for something challenging and entertaining? 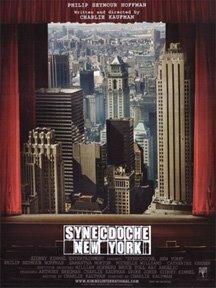 Bored with this spring's less-than-thought-provoking theatrical titles? Curl up on the couch and open your mind with these uncompromising films, now available on DVD. Perhaps the most polarizing picture of 2008, this directorial debut from Oscar-winning screenwriter Charlie Kauffman ("Eternal Sunshine of the Spotless Mind") is immensely ambitious in story and look, and requires far more explanation than what I can provide here. The film asks tough existential questions, features a stunning cast of actresses (and Philip Seymour Hoffman), and boggles the senses. It's not for everyone, but it's a wildly unique conundrum for movie buffs. Academy Award nominee Melissa Leo gets to the heart of a hard-living woman in this truly independent picture from director Courtney Hunt. Though she didn't win the Oscar, Leo did nab and Independent Spirit Award for her portrayal of a financially desperate woman who's all-too-relatable in today's troubling economy. Watch Kristin Scott Thomas floor you in this gritty and intimate drama about a woman recently released from prison and forced to live with her judgmental sister. Scott Thomas won raves for her performance, along with multiple 2008 Best Actress nominations. 18-year-old Kristen Stewart (who turns 19 on April 9) made her first movie appearance in 2001's "The Safety of Objects," an ensemble drama populated by famous faces like Patricia Clarkson. The following year, at 12, Stewart grabbed viewers' attention as Jodie Foster's hard-headed daughter in David Fincher's home-invasion thriller, "Panic Room." But none of this fresh-faced actress' previous credits can compare to the overwhelming success of last year's "Twilight," the blockbuster adaptation of author Stephenie Meyer's vampire romance bestseller, in which Stewart played the lovestruck heroine, Bella Swan. Unless you've been in hibernation for the last six months, you're well aware of the international phenomenon that the "Twilight" film has become. It raked in millions of dollars and made Stewart and her co-star Robert Pattinson household names (especially the households of teenage superfans of Meyer's books). This month, Stewart is attempting to maintain the steam she recently picked up, starring in "Adventureland," a romantic screwball comedy from David Gordon Green, the director of "Superbad." Opening April 3, "Adventureland," set at a Six Flags-like theme park, casts Stewart as the love interest of an angsty college grad played by Jesse Eisenberg ("The Squid and the Whale"). Co-starring SNL fave Kristen Wiig, the movie is already receiving very positive reviews. "New Moon," the sequel to "Twilight" based on the second installment of Meyer's book series, opens this November. Though the director of the original movie, Catherine Hardwicke, has flown the coop, Stewart will be reprising her most famous role, as will Pattinson, and Dakota Fanning is rumored to appear as a supporting character. Let's see if she can upstage Stewart.